The Paddock enclosure offers panoramic views over the racetrack and enables the public to view the horses in the pre parade ring, parade ring and winners' enclosure. The Paddock and Wynnstay Restaurants and all other private hospitality suites are also included in this area. Food, drink, betting and convenience facilities are all available, with three public bars, and various snack outlets to cater for racegoers. A number of tables are made available in the Wynnstay Restaurant for the public to walk in on the day and take advantage of the delicious food on offer (Subject to availability). Food, drink, betting and convenience facilities are all available and we are happy for visitors to bring picnics to the Course Enclosure. BBQs are permitted on the Course enclosure, however we ask that you are considerate to other racegoers when operating a BBQ. For anyone wishing to bring a Gazebo onto the course enclosure, there are designated Gazebo areas that are clearly signed - there will be a charge of £10.00 per gazebo. If you wish to arrive by helicopter at the Course, you must contact the racecourse office beforehand on 01978 782 081 to confirm arrival/departure times and landing area etc. Bangor-on-Dee lies just 25 minutes from Chester and is well-signed from the main A483 southbound.From the South and Midlands, the Racecourse is best approached using the M6 and M54 (j3) then take the A41 to Whitchurch and finally the A525 towards Wrexham. There is no official dress code, although smart casual is suggested. Bangor-on-Dee racecourse is a thoroughbred horse racing venue located in Bangor-on-dee near wrexham, Wales. It is a left-handed National Hunt racecourse, and does not have a Grandstand. The racecourse held its first race in 1859 and has since held horse racing regularly except during the wars. Since 2006 Bangor has also hosted amateur Point-to-Point races run by local hunts. The course for the Point-to-Point is on the inside of the main track and races are run right handed. 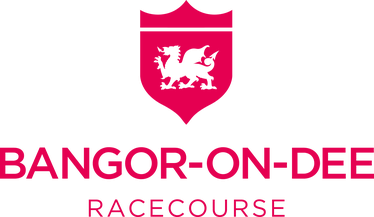 In May 2012, all former Tote betting positions were replaced by the racecourse's own in-house bangorBET betting system. The Clerk of the Course is Andrew Morris, who is also Clerk of the Course at sister track Chester, where flat racing takes place. Today, many of the top trainers send their novice horses to race at Bangor-on-Dee as part of their education: Paul Nicholls, Alan King, Phillip Hobbs, Donald McCain (Cholmondeley) Nicky Henderson, and Jonjo O'Neill all have regular runners at Bangor-on-Dee.